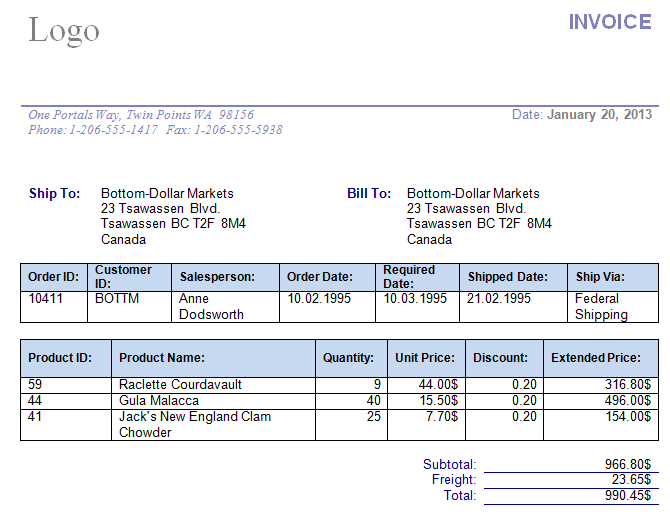 This is modification of the previous example Invoice report. The report displays data from several tables in an output document. One SQL is divided on two queries - order and order details. There are two TADOTable components on a Form1. First is connected to the table Customers. The second is connected to the table Orders. Current OrderID is input parameter for the report. Qr and Qr2 are TADOQuery components. Qr's SQL property contains the final select for the report. Qr2 SQL contains order details subquery. EkRTF1 is TEkRTF component. 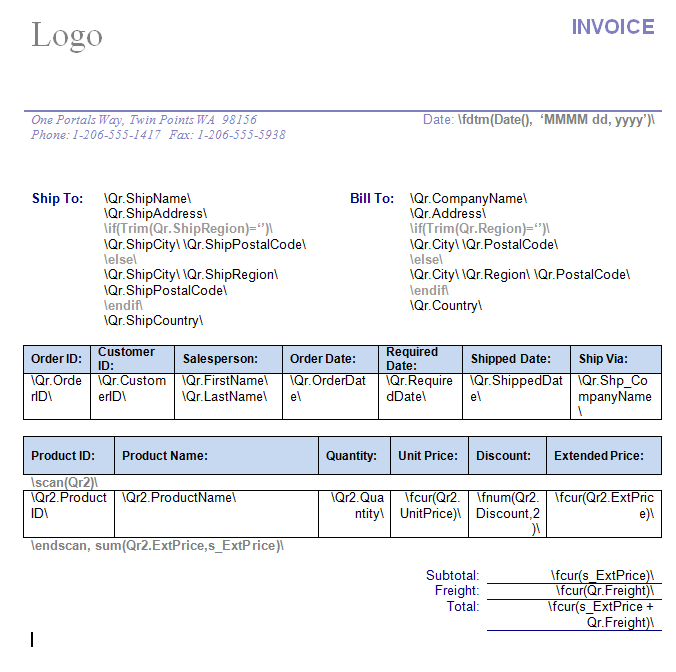 The report template is saved in NW_Invoice_2.rtf file. The name of the report template is set to EkRTF1.InFile property before executing. Fields for ship information and order are linked to the Qr dataset. Order details block is linked to Qr2 fields.